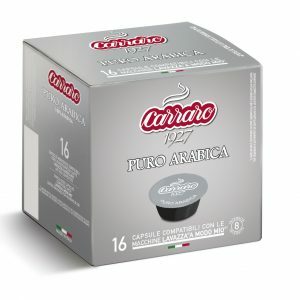 Carraro A Modo Mio Lavazza® Compatible Coffee Capsules, Decaffeinato Blend. 4 x 16 per case. 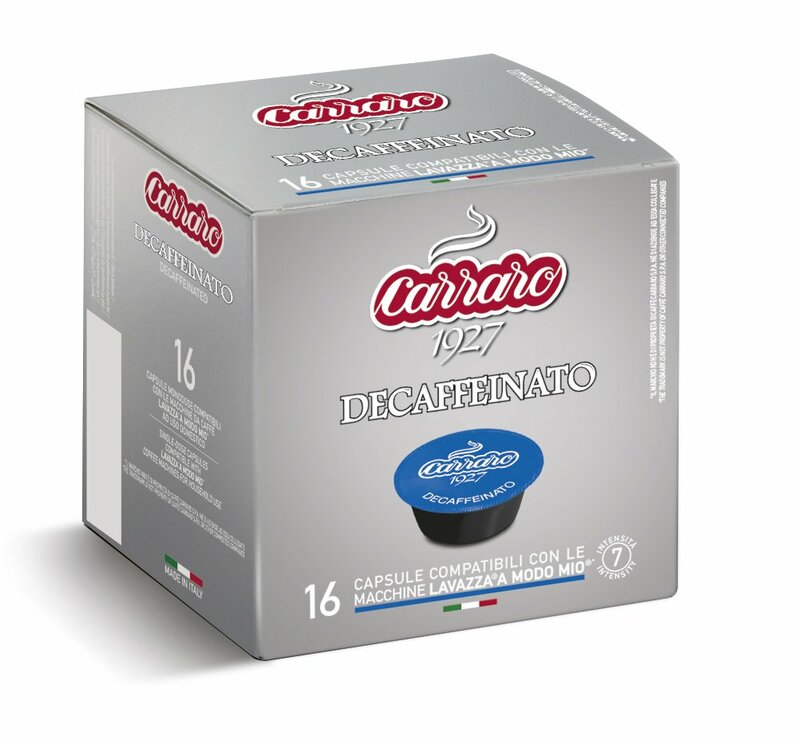 Decaffeinato capsules are built on Caffè Carraro’s research and experience since 1927. This espresso is the product of ongoing selection of the most suitable green coffee beans and continual research into decaffeination processes that aim to preserve the beverage’s wonderful qualities of compact and long-lasting creaminess, a fragrant and fruity aroma, and a full, smooth flavour without the impact of caffeine. ®The trademark is not property of The Coffee Pod Company. or its connected companies.